Usually, buyers of standalone software have an opportunity to download a demo/trial-version to take measures of the product. Nevertheless, our clients are not an exception and we always offer them the downloading of the demo version to estimate our product. But unfortunately, most of them don’t know that this demo version is a FREE customizable US map with full functionality! Do you want to know more? What is try-for-free customizable US map? If you visit Fla-shop.com website and look for any WordPress plugin, you can see a short link (Download) that allows downloading of the fully-functional demo version. Moreover, the trial of all products, including the USA interactive map, is available. Easy customization with only a few clicks. Sounds good, right? But please note that all maps made in this free version will have the “demo” sticker while being rendered on the webpage. To remove it, you will need to purchase the premium version of our product. How to install try-for-free customizable US map from Fla-shop.com? Voila, you have the free customizable map on your website! 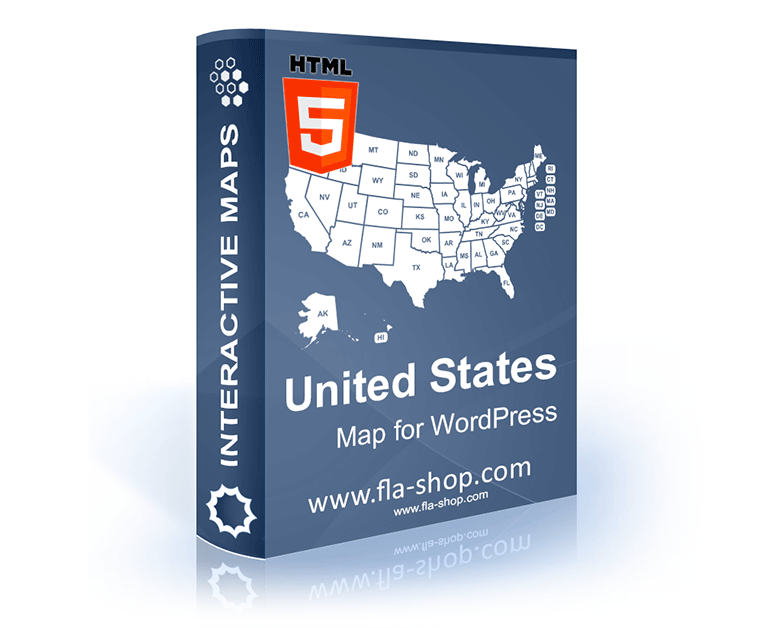 How to customize the WordPress interactive maps from Fla-shop.com? In the article “5 types of interaction in plugin US Map for WordPress” you can also find real examples with different options. What are the differences between a free and a premium version of US interactive maps? Do we have free customizable maps of other countries? Of course, we have! Just visit our website and look for products list, you will not regret it. All in all, if you want to test all the premium options of the USA map plugin for free, just click on the link below and download the plugin. If you want to read more interesting articles, just stay tuned and watch for our blog updates!